The night time is the right time, in today’s post. 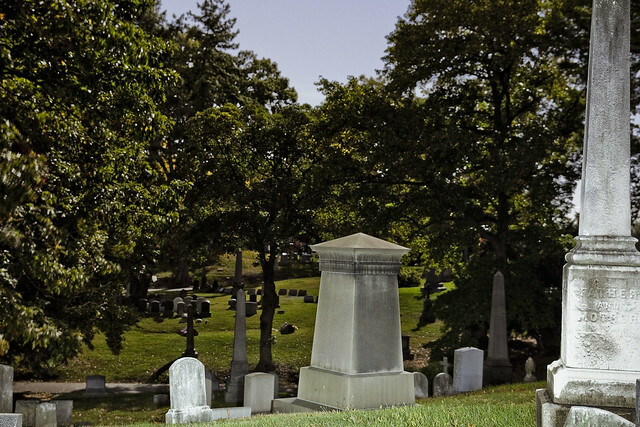 The pedantic banality of my daily existence is occasionally punctuated by a series of rather dull events, and last weekend this included a trip to Greenwood Cemetery for Atlas Obscura’s “Into the Veil” party. It actually wasn’t that dull, as everybody else actually seemed to be having a good time, but the blackened callouses coating my psyche preclude one such as myself from feeling anything other numb. Despite my best efforts at erecting emotional and behavioral barricades around myself, I do have a few friends and they were along for the excursion, and unfortunately my attempts at maintaining a social life got in the way of actuating the camera mechanisms with the anticipated and normal frequency. Despite this, I did manage to crack out a few shots. 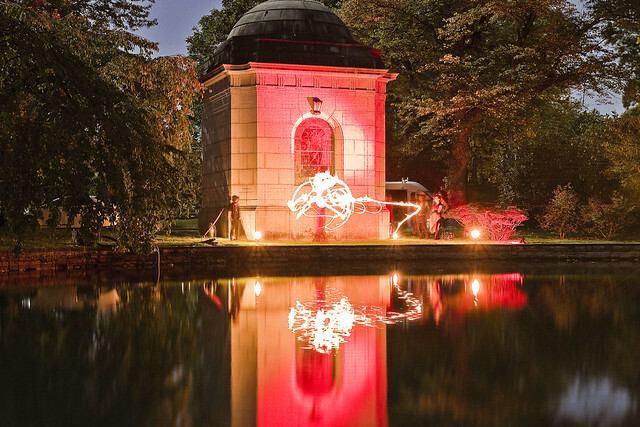 “Into the Veil” is an Atlas Obscura signature event, and brings hundreds of people to Brooklyn’s Greenwood Cemetery (est. 1838) for what can best described as a decadent party. There are bands, and bars, and performances. Above, a group of fire dancers performing at the Crescent Lake found on the northwest side of the polyandrion. It’s a 30 second exposure, and the streaks of fire seem to forming an occult sigil. It’s all so depressing, however. On the far north western side of the cemetery is a rather large MTA facility which is both a train yard and a bus depot. 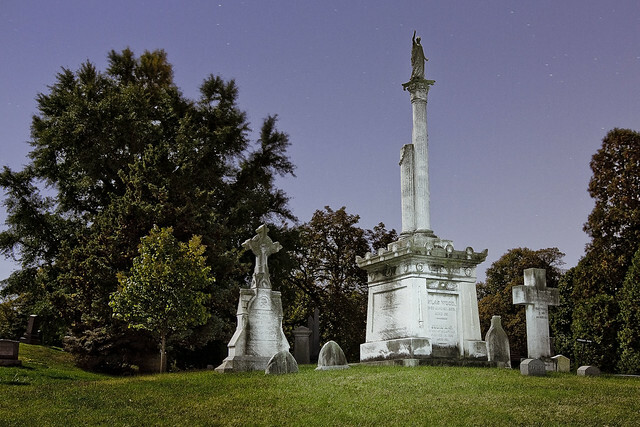 The MTA uses harsh sodium based “stadium lights” to illuminate their property which throws an orange glow about for hundreds of yards in every direction, and it penetrates deeply into the fuligin shadows of Greenwood Cemetery where the night gaunts dance about in remembrance of the olden times. 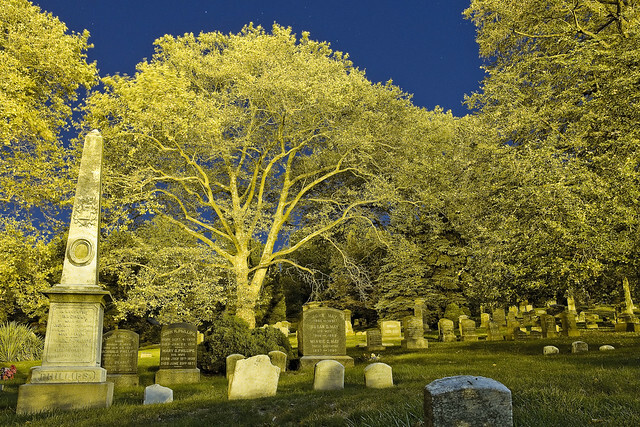 There is something seriously wrong with a city when the dead live (un-live?) in a nicer place than the living. No wonder you’re so depressed. You need to get out of that hell hole.